Racing Elements is a new weather app that combines two of my favourites: photography and F1. Living in the UK, it's not unusual to be slightly obsessed by the weather and as an owner of a Cahier print, I was keen to see how these could be combined. When I first heard of the F1 documentary '1', I must admit I thought it was clinging onto the coat tails of the much publicised Ron Howard pic, Rush. 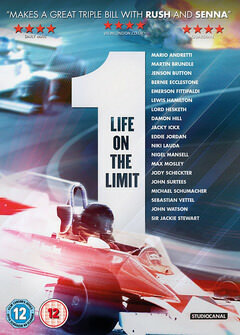 I'm happy to admit, I was wrong.It wasn't on my ever growing 'to watch' list but being F1, my interest was piqued. Whilst I was probably never going to rush to see it in the cinema, I was lucky enough to catch it on a recent flight - boy was I surprised! Probably the last chance we'll get to see F1 drivers racing in anger until the season begins again, it's the annual Race of Champions. Drivers across many disciplines race in a variety of cars to determine the Champion of Champions on a purpose built, 2 lane track. The list of drivers and cars is too long to mention but they are both impressive and varied, more details can be found at the ROC website. The races are short but can be very tight, creating lots of tense action. Due to the unknown nature of how I was going to be able to access live F1 for half of next year, I decided to watch the 2011 finale in Brazil in style. When Badger GP tweeted that tickets were to be released for the live Badger Bash event, I was straight on the case. Essentially, take 100 F1 fans in a London venue, a 4 metre screen to watch the race, a quiz and some industry insiders to chat about the stuff we know and love and you have a recipe for success. Some of the regular Sidepodcast commenters have decided to use their creative energies and have created a 'home of random'. We thought we'd try to nurture a place where we could continue the off-topic conversation and share the odd link, funny discoveries and assorted gems of the digital era. That's as much of an agenda that there is at the moment, it's definitely a work in progress and it is expected to change according to the needs, feedback and ideas of the people that read and use it. Roll up, roll up! It's that time again. You are cordially invited to the next SidepodMeet-Up. 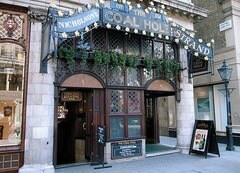 Next Wednesday, June 29th, some like minded folk will be convening in a London establishment close to our hearts. Sidepodcast's first international meet-up kicked off in Boston, MA back in April of 2011. Three of the attendees who were witness to this momentous occasion returned home with tales of women, wine and cars that shine. 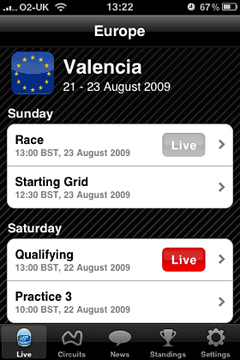 Whilst Mr C continues to stick by the somewhat flaky Official F1 App, Bassano Clapper has undertaken some investigative reporting into the other motorsport related iPhone/iPod apps. Non-Apple fans look away now, please.